Chicago Bears GM Ryan Pace had himself quite the 2018 offseason. So many of his moves have paid off big for the team in the past couple of months. 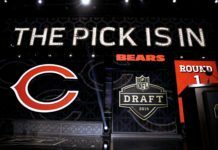 Head coach Matt Nagy, whom he hired to replace John Fox, has Mitch Trubisky playing much better and the team with its first winning record at the halfway point of a season since 2013. Roquan Smith is firmly entrenched as a starter on the Bears defense. James Daniels is plugged in at left guard. Anthony Miller has scored three touchdowns already. 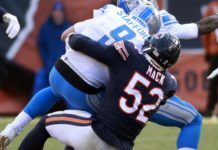 Khalil Mack is on course for 10 sacks and that’s with missing two games and playing two others on one good ankle. Kyle Fuller, whom he managed to secure on a new deal, is looking like an All-Pro at cornerback. Pace received a lot of praise for the moves he made. Ironically his biggest controversy of the offseason and the one he was blasted for the most was the move he didn’t make. Cameron Meredith. 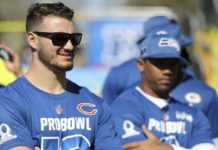 Following the 2016 season, he’d become one of the better Bears stories in years. 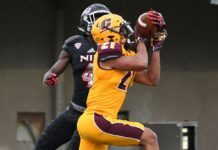 An Illinois native who rose up through the local college ranks, signed as an undrafted free agent and became the primary receiver going into the 2017 season. 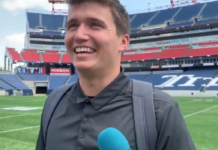 Then in one tragic moment, it was ripped away from him when he tore his ACL in a preseason game against Tennessee. 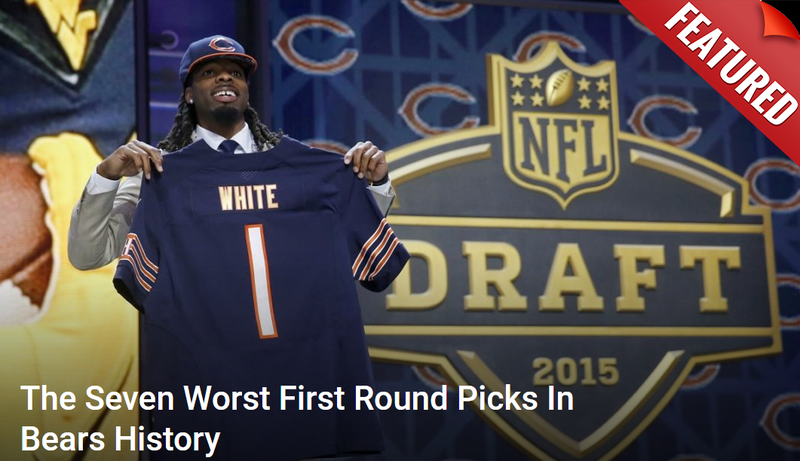 The Bears had him tendered on a restricted free agent contract coming into this year. Many thought no team would risk making an offer given that injury. The New Orleans Saints proved them wrong. Meredith signed a deal for two years at $9.5 million. Pace had five days to match. They passed with nothing happening. Meredith was a Saint. When asked about it later, his answer was succinct and clear. 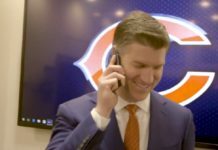 In explaining why #Bears decided to let Cam Meredith leave, GM Ryan Pace said: "We lean on our training staff and our docs." Things started out well for Meredith in New Orleans. 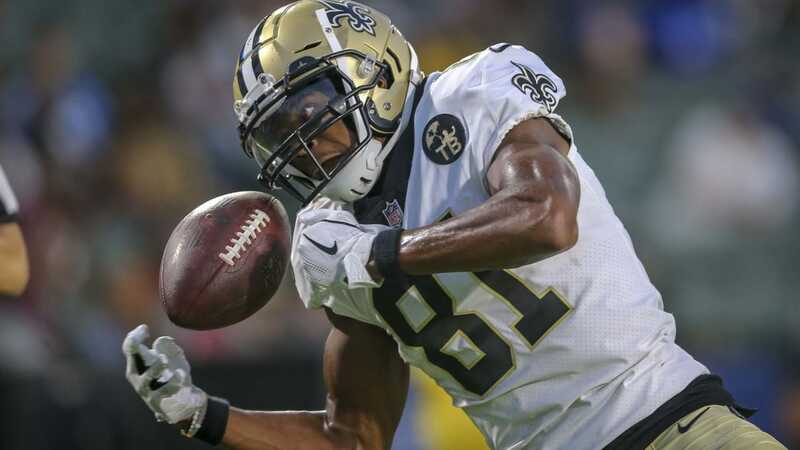 He made nine catches for 114 yards and a touchdown in his first three appearances. However, he hasn’t made a single catch since and now he’s sitting out practices. Why? Take one guess. Yep, knee issues. This no doubt explains why the Saints dropped a bomb on the football world by choosing to sign veteran former Pro Bowler Dez Bryant. Knowing all of this, perhaps it’s about time people stopped for a moment and admit something. Admit that Pace, for all the crap he took, made the right call. He heard the opinions of the trainer and doctors who told him the knee was too iffy to warrant that kind of money. He made the judgment call that the offense would survive without him and let Meredith get his money elsewhere. Meanwhile, Trubisky is on course to throw for almost 4,000 yards and 32 touchdowns. It’s safe to say the Bears offense has done just fine without him.